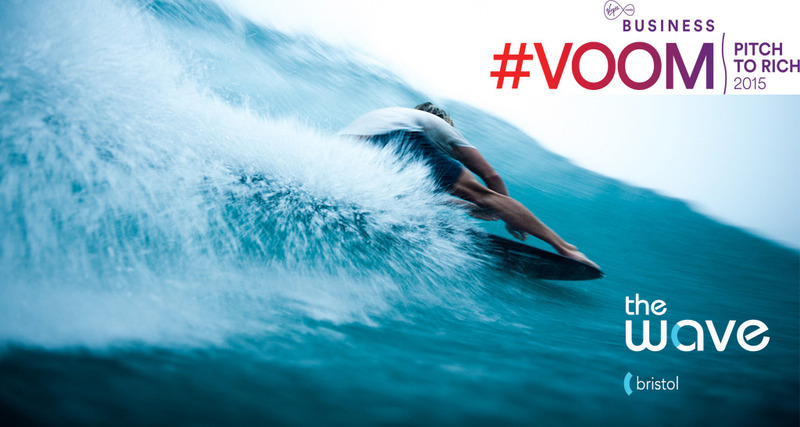 The Wave Bristol has been shortlisted to make it to the semi-final #Voom: Pitch to Rich. The semi-finalists were shortlisted from the top 250 pitches, which received the most public votes since the competition launched in March. There are just 10 businesses left in the ‘Start-Up’ category and The Wave Bristol now has until 10am on 16 June to get as many votes as possible, in order to make it to the final three – and the chance to pitch to Richard Branson himself. As an added incentive, Virgin Media Business is offering a prize of £10,000 to one of the people that votes between now and 16 June. The competition is the latest Virgin Media Business initiative to support small, growing UK businesses – the disproportionate drivers of the national economy. This has included the introduction of specifically-designed broadband services and the creation of free expert resources to help entrepreneurs make the most of the opportunities created by the digital world.